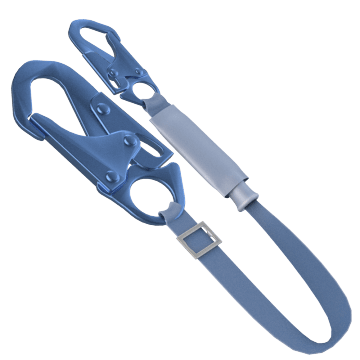 Protect workers from falls and dampen the jolt at the bottom of a fall using shock-absorbing lanyards. 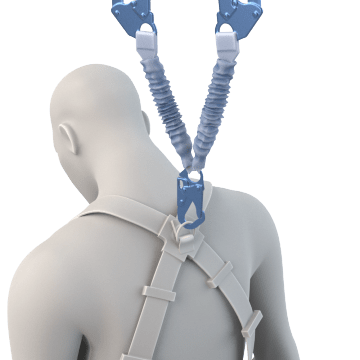 Lanyards attach to a body harness on one end and an anchor point or anchoring device on the other to arrest a fall. 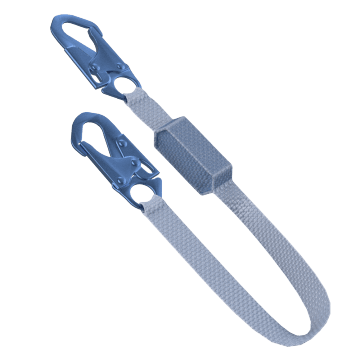 Shock-absorbing lanyards have an energy-absorbing bungee length that helps slow the fall before the end of the lanyard is reached and are suitable for use where there is a long fall clearance. 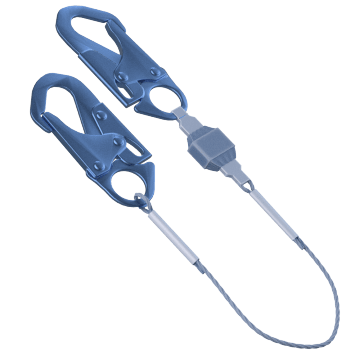 Use these general purpose lanyards for a wide range of applications. 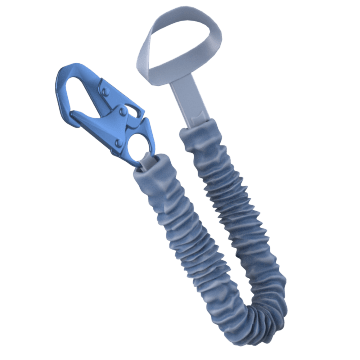 Avoid the hassle of installing a separate anchor with these lanyards, which feature an integrated anchor. 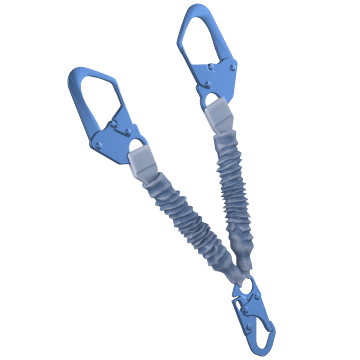 The main length of these shock-absorbing lanyards is made of abrasion-resistant wire rope that can support a fall over a sharp leading edge without fraying. These lanyards are made from material that won't burn or melt when exposed to high voltages or heat in the event of an arc flash. 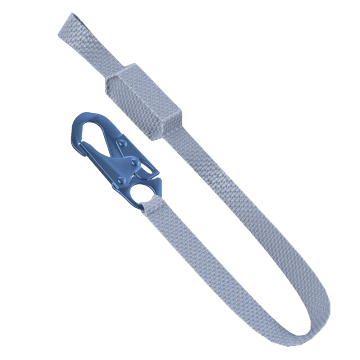 Ideal for welding or electrical applications, these lanyards are made from material that won't burn or melt when exposed to high voltages or heat in the event of an arc flash. 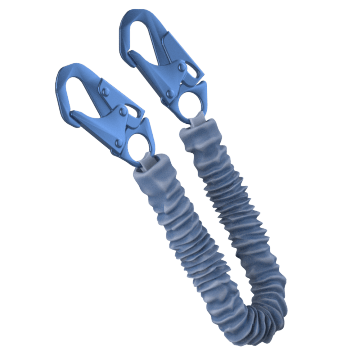 They feature a built-in anchor, eliminating the hassle of installing a separate anchor for attachment. Made from fire- and heat-resistant materials, these lanyards can withstand exposure to high temperatures. Ideal for welding applications and similar tasks. 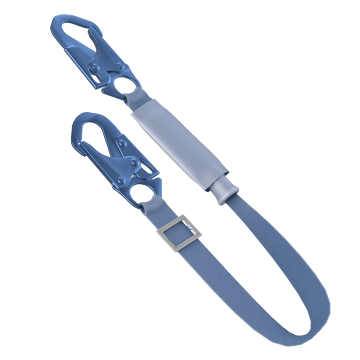 Constructed of fire- and heat-resistant materials, these lanyards can withstand exposure to high temperatures. They also feature a built-in anchor, so you don't have to install a separate anchor for attachment. Made with a coated fabric, these lifelines can withstand exposure to damaging liquids often found in water treatment facilities, chemical plants, and other harsh environments.